Event - Move. Cost: 0. Resolve one of your character dice as if it were showing a shield (). 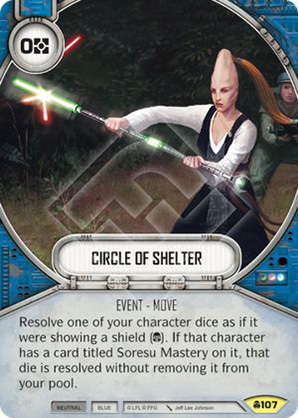 If that character has a card titled Soresu Mastery on it, that die is resolved without removing it from your pool.